Now the entire New Testament is ready for the Wired Generation. Today's youth ingest media at a faster rate than any previous generation. And they can't get enough! The Word of Promise: Next Generation - New Testament is the perfect way for young multitaskers to absorb scripture. This ambitious recording makes the word accessible to more kids than ever before. Location markers make finding and keeping your place as you listen as easy as hitting “fast forward” or “reverse"
If you are looking for a specific chapter, each chapter is it's own "chapter" and when you select a chapter it will always tell you what book you are in. For example, if I download part 8 and I want to listen to Psalm 139, it is in chapter 64. When I press "play" it will begin with the words "Psalm 139." It is nice that it always tells you what book you are in! I love listening to Bob Souer's reading of the NKJV. Some audio versions of the Bible are so monotoned that it's impossible to stay with it. Bob has a very agreeable voice, and he puts just enough inflection to give emphasis in the right places, but not enough to make it emotional. I enjoy listening to this audio Bible again and again. 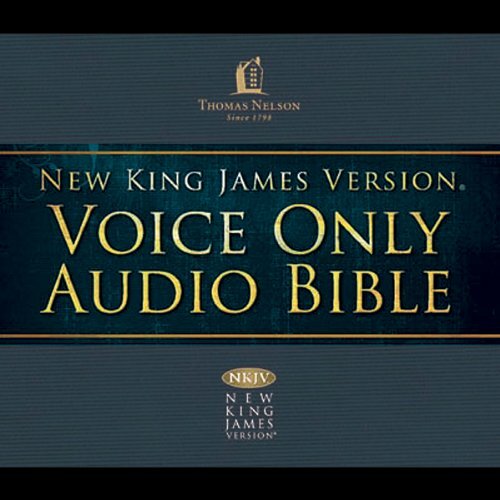 Would you listen to NKJV Voice Only Audio Bible again? Why? Because I've bookmarked it very well and can hear my favorite passages whenever I please. The 'immense' job of bookmarking everything because the chapters in no way match up with the chapters of the Bible was a real pain in the rear. Everything else is great. Great reading of the Bible!! 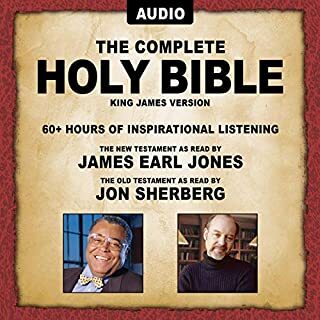 I downloaded this for my 88 year old mother and put it on CD's for her.. She is almost bedridden and hard-of-hearing, but the volume comes through so well on this, she can easily hear AND understand it... She absolutely LOVES it and has already had many hours of enjoyment being able to lay in bed and listen to the Bible read to her... Would definitely suggest this for anyone!! This is a great recording, but is organizationally irritating. There are 16 parts where each contain multiple books. Each book and chapter are announced but aren't identified in file name or by tags so finding a specific book is a bit of a chore. Naming each part with the book that starts it should have been a no-brainer. Would have been better if there were 1-1 correlation between books and parts, ie., 66 parts instead of 16. 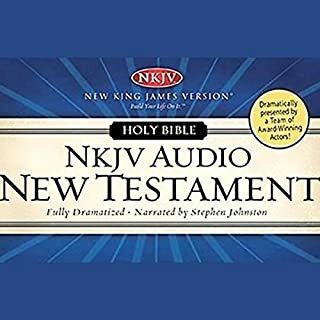 This is a great audio version of the NKJV Bible, but it is difficult to navigate through the Bible by Book, Chapter and Verse. The books are are lumped together within 16 sections. I re-titled all of mine to say what Part # they are followed by the first book and the last book that is read in that particular section. I love the NKJV Bible and the narration is very well done. It is not boring, nor is it theatrical! My extreme reaction was before this book....salvation! Praise God! He made a way where there was no way! Jesus IS THE WAY! If you have never made Jesus the LORD (master) of your life read chapter 8 of Romans. Then read Romans 10:9-10 and pray...welcome Him into your heart so you may rule and reign with Him forever! 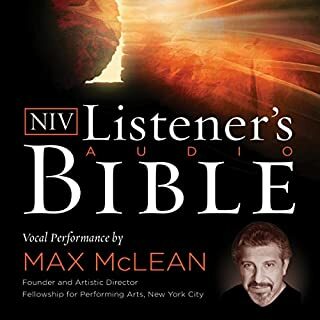 What did you love best about NKJV Voice Only Audio Bible? How can you just pick one character. This was a good production of the Bible. What was one of the most memorable moments of NKJV Voice Only Audio Bible? If you could sum up NKJV Voice Only Audio Bible in three words, what would they be? More on arrangement. Part 1 has sections for Genesis chap.1-50 then Exodus 51-90 then 91 is the audible tag that says this book is continued on the next part. The parts did not organize as expected(1,2,3 etc) Parts instead organized by no decimal rule ( 1,10,11,12,13,14,15,16,2,3,4,5,6,7,8,9.) Each time I opened one part, It moved to the carousel front place and was out of the original order. It took 2 weeks to figure out how to find desired chapters. The ability to hear bible read for nightly devotionals is worth the trouble due to places that do not have strong enough wi-fi to run Bible apps. This is a great listen, great price and I'm ecstatic that I was able to find it. The bible is not a new book, so i was disappointed to find that none of the chapters or books of the bible are actually labelled, so you couldn't look for psalm 1 for example, it could be chapter 88 of that one downloaded section (of many sections). This make it nearly impossible to navigate. I would have returned it if this option was available. What didn’t you like about Bob Souer’s performance? Bob Souer was fantastic and my review is in no way a reflection of the quality/delivery of the Audio narration, which is fantastic and worth buying. 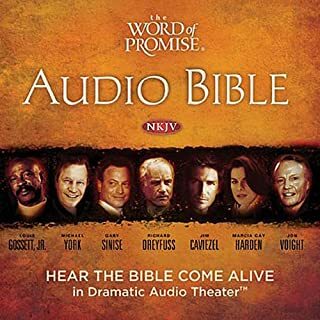 If you could play editor, what scene or scenes would you have cut from NKJV Voice Only Audio Bible? As i can't navigate this audio book - its been a challenge to find the appropriate chapters i'm looking for; so i can't say if there is anything to be cut or edited. The voice is easy to listen, and I enjoy this audible. 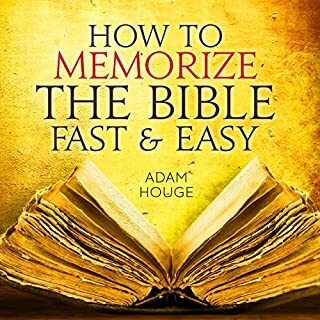 I wanted to read the old testament for a long time, but never had the time or will, this audible provided me with all the stories and I made comments and annotations.It had several books and each book many chapters, but the books are not named. I made annotations, maybe a next revision can name the individual books, I am aware no audible is naming chapters.Great voice and good flow you can listen while you do any work. 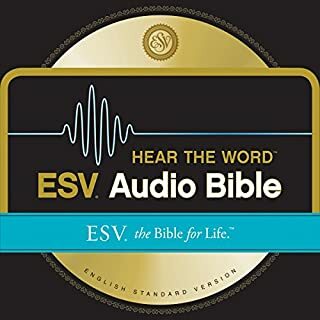 Would you recommend NKJV Voice Only Audio Bible to your friends? Why or why not? something I have always wanted to do. Fantastic narrator made it easy listening. Thought provoking and a must for anyone who believes. Listened from beginning to end. Explained much. The NKJV audio bible is simply brilliant. Well read. An easy way to read or hear the book of life. Highly recommended. Love it and have been listening through for the last few years. Listening helps you pick up things you wouldn't by just reading the bible. I would have preferred to have the different books separated. To make it easier to find specific Scriptures. However the narration is quite good. I was born again listening to this audio Bible. A little over a year ago God put it in my heart to read His Word. His Son saved me listening to this Bible. I have listed to it for hours every day since. It is a beautiful reading and I often weep listening to it.